How Your Tyre Affirms Safety On The Road? Tyres are those parts of a vehicle that not only offer a comfortable ride but also ensures safety. It is quite essential that you have to keep these components in good condition. Even a minor damage to them, can lead to a great loss. Whether a radial is worn out, overheated or turned flat, it is vital that you fix the problem to make the drive safe. Apart from this, they also offer various other benefits like reducing the fuel consumption, improving mileage, cutting down the overall running costs and so on. Therefore, if you want to increase safety for yourself and other occupants, make sure that you take proper care of them by following various methods. 1) Radials that come with the right air pressures ensure optimum grip on roads and makes a vehicle’s handling quite easier. 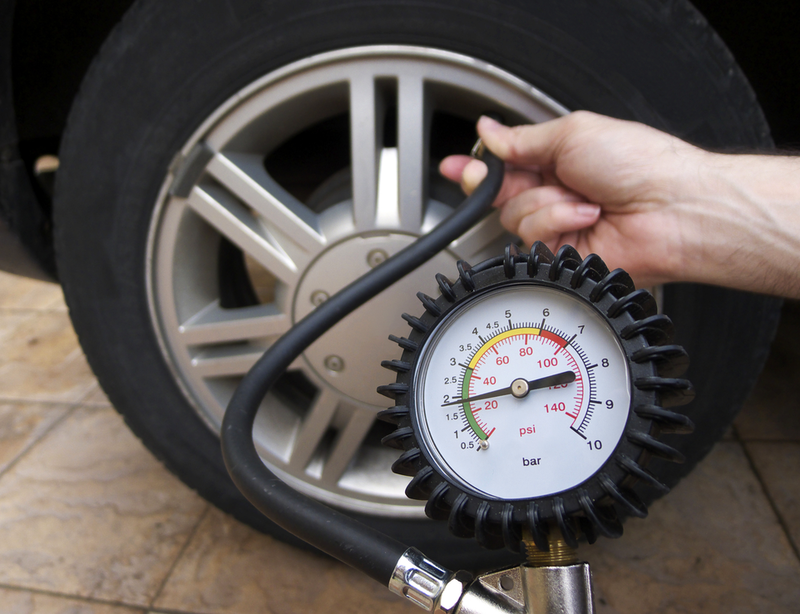 Every manufacturer recommends the amount of air pressure that is right for a tyre. Inflating them as per the recommendations, will not just help in improving their performance but also increases their life span. In addition, properly inflated tyres also minimize the fuel usage and save unnecessary premature replacement. Driving a vehicle with over of under inflated radials can severely affect its performance and most importantly, it will enhance the possibility of damage. Hence, to know the correct tyre pressure, you can check the user manual of your car, which is placed on a label on the door frame or inside of the fuel flap. 2) One must not forget to notice any signs that indicates to wear and tear of radials. In general, every tyre comes with a tread depth of 1.6mm, which is the legal limit. Tread plays a key part in offering better traction and to maintain stability on all surfaces. If you observe the tread comes down to the level of tread depth indicators then, it is the right time that you replace them with new ones. Checking them on daily basis will just keep you updated about the tyre’s condition and allow you to take necessary steps so as to prevent any unpleasant surprises on roads. 3) Tyre rotation is one of the best and most important methods that can help in increasing the life span of radials. This is a process where wheels as well as radials are moved from one position to the other. This is done mainly to achieve uniform wear and to increase the tread life. There are many reasons that causes uneven wear like sudden braking, cornering and bad roads. Irregular wear is caused even if there is difference of weight on the front and rear axles. Hence, by following this method, you can certainly avoid uneven wear along with the risk of skidding and loss of control on your vehicle. 4) Another important thing you need to remember is to replace your tyre valves when you fit new ones. This is one of the best ways that increases durability of these components besides ensuring safety when driving. Generally, these parts are made of rubber, which deteriorate with time just like the radials. So, any damage to these valves causes air leaks and these are no longer safe to use. Therefore, proper maintenance is certainly one of the finest ways that not only prolongs the life of your radials but also ensures your safety when driving on roads. How to compare new tyres?